Everyone loves a good story. Little known fact: the first cave drawing is directly related to the phrase, "you should have seen it; it was THIS BIG!" While the desire to be entertained is universal, I think Utahans have a special place in their hearts for story. It's a fundamental part of our cultural heritage. Maybe that's why the Timpanogos Storytelling Festival is one of the largest in the country. 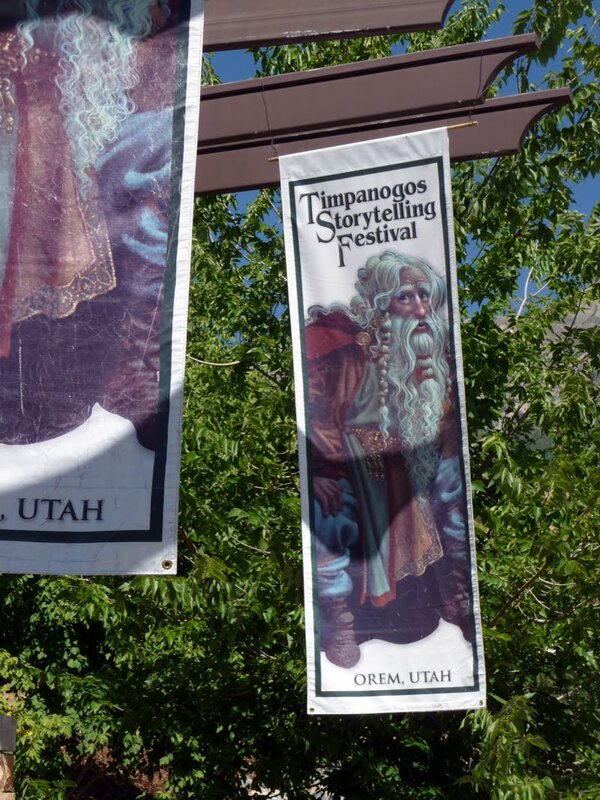 Approximately 26,000 people from across the country (and the world) make the trek to Utah for the Timpanogos Storytelling Festival. 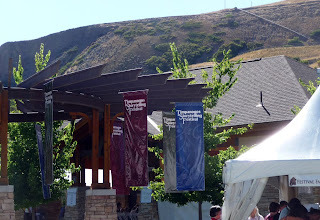 In 2005, the city of Orem designed the Mt. Timpanogos Park in Provo Canyon to accomodate the ever-increasing crowds. 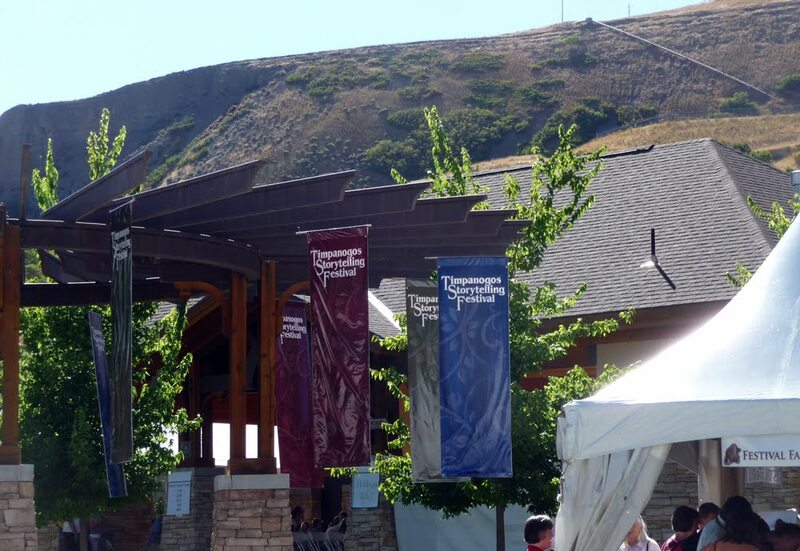 Timpanogos attracts world-renowned storytellers. That's right, we get the best of the best like Donald Davis, Bil Lepp, and Charlie Chin. Every Labor Day weekend, my "KAG" compatriots fly in to Utah and we attend the festival together. I have laughed until I've cried, and cried when I've experienced carthasis in a story. I have been transported to different cultures, different countries, even different worlds. This is a can't miss opportunity for families. I've sat in tents and watched children transfixed by a single voice, not an electronic device in sight. Because, in the end, I believe everyone wants to hear a story...humorous, informative, fantastical, nostalgic, spine-tingling, inspirational. 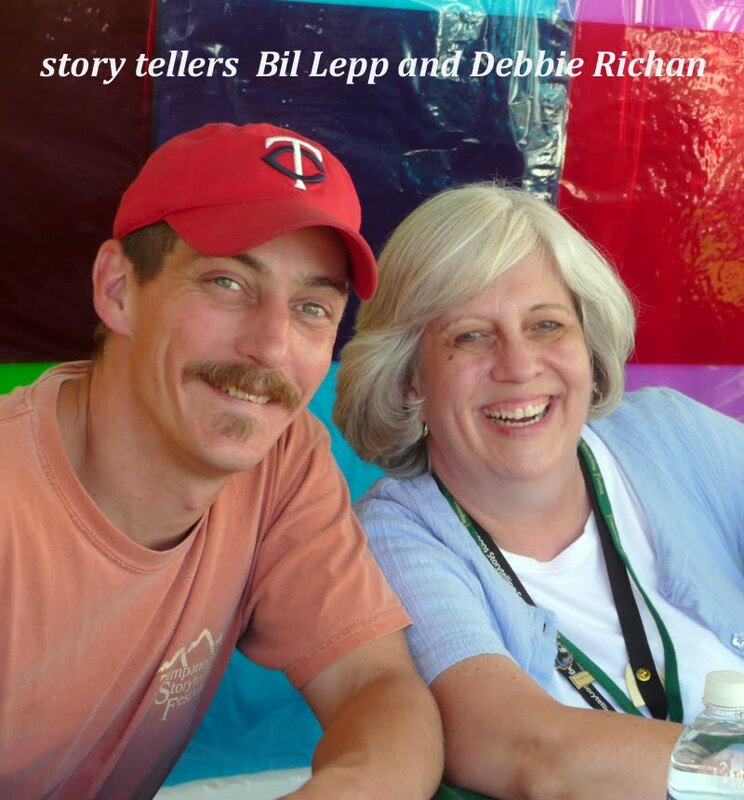 Main events for the Timpanogos Storytelling Festival start Thursday night and run throughout Saturday. You can purchase tickets for single events, entire days, or the entire weekend. I find the weekend pass to be the best bargain. That lets you in to two days of storytelling at Timpanogos Park and two nights of hilarity or horror (depending on whether you go to Laughing Night at the SCERA Shell or Shivers in the Night at park. A Navajo friend of mine told me her father used to take the kids outdoors at night in the Arizona desert and tell them all of the legends of the constellations and how the world came to be. The sharing of stories is primarily a oral tradition in the Navajo culture, and she's she worried that the stories arefading away. While I'm all for writing things down, I believe that everyone could benefit from practicing the art of telling and listening to a story. In addition to the storytelling tents, the festival is packed with life musical performances, puppet shows and excellent food provided by prominent local restaurants. I'm looking forward to indulging in a little grilled pineapple from Toucano's as well as a breadstick from Magleby's. 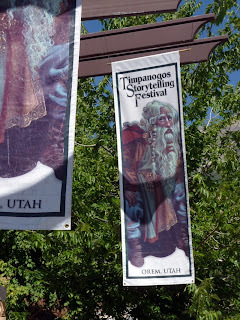 Visit the official Timpanogos Storytelling Festival website for a schedule of the weekend's activities, ticket prices, and a list of the featured performers. Parking for the general public is not available at the park. The festival runs shuttles every 15 minutes from parking lots in Orem and Provo. Click here to see the shuttle locations. 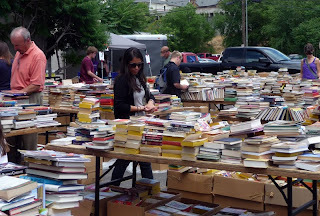 This morning I stopped by Pioneer Book where I loaded up on four art/photography books, a DVD about Henry J. Eyring, and a set of old radio mysteries on CD to listen to in my car. Outside the store, several local authors had booths and were selling their wares and meeting fans, so I picked up another book from an author I know, Tristi Pinkston. This past month I have had my car in for repairs twice, so I did experience a moment of guilt as I stared at my bulging book bag. But I had calculated the cost in my head, and I have stew and salmon patties in my freezer at home, so I’ll still be able to eat until pay day. …and I bought one more book that caught my eye. Even now, I’m sitting at the Barnes & Noble café, typing out this entry. I have a sickness, people! This is not a cry for help. (I can stop any time I want.) It is a cry to arms! Our bookstores are failing! 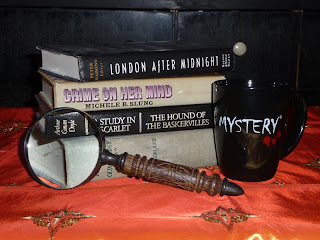 The news of Borders bankruptcy caused me to drop my head into my hands and groan, “Oh, how are the mighty fallen.” Then I promptly went to pick the carcass by loading up on three of the discounted paperbacks from my favorite mystery series. Now I admit to being a part of the problem. Larger booksellers like B&N and Borders are faltering, in part, because of online bookstores and the fact that retailers like Walmart and Costco order NY bestsellers by the boatload and sell them cheaply. Yes, I love that I can find obscure books on Amazon. And I bought “The Guernsey Literary Potato Peel Pie Society” at Costco (where, incidentally, I also got an excellent herbed cheddar). But the cruelest blow of all happened in Kansas City, KS (my home away from home). The “I Love a Mystery” bookstore is closing its doors! Aack! My favorite genre! I realize that I usually feature Utah-based businesses. But today, I’d like to use the entry to lovingly eulogize one of my favorite retreats. 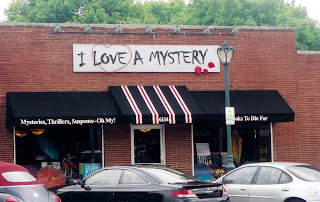 The “I Love a Mystery” bookstore specialized in…mystery. The interior of the bookstore looked like it could have been the library in which Colonel Mustard was caught with a lead pipe. 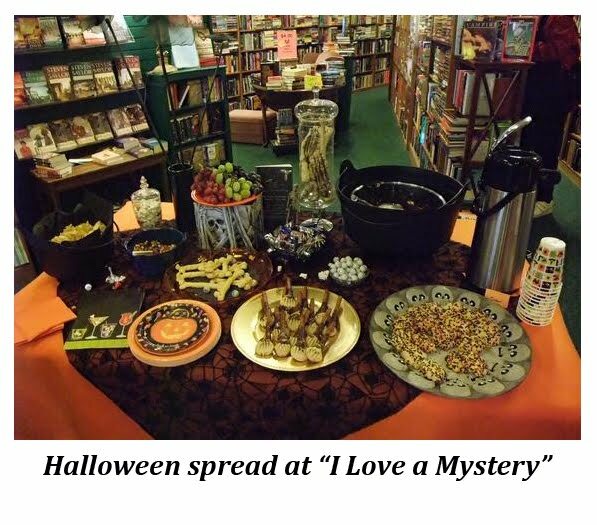 Mystery “artifacts” were scattered throughout the store: a deerstalker’s cap, a calabash pipe, a dagger, or a skull. The store sold both new and used, every author of note. (And some not.) There were chairs for sitting and a tea cart. 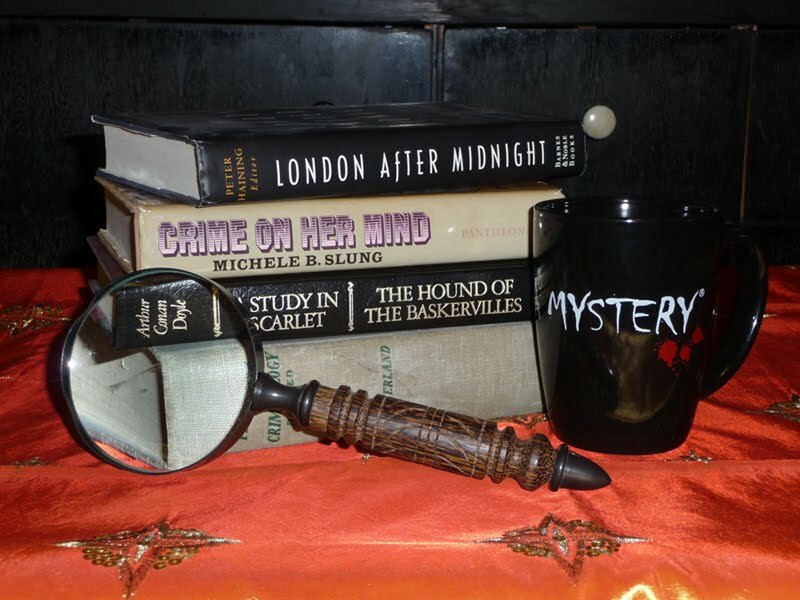 You can find any mystery author of note there. I first discovered “The No. 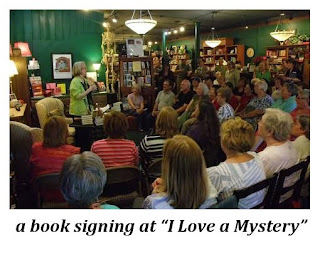 1 Ladies Detective Agency” series at “I Love a Mystery.” Last year, I did Christmas shopping there. Every year, my book club has Christmas party and we each bring a favorite used book to gift—white elephant style. 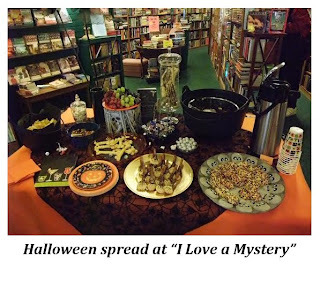 In anticipation of the event, I went to “I Love a Mystery,” to get the first books in two of my favorite series: the Thomas and Charlotte Pitt series by Anne Perry and the Amelia Peabody series by Elizabeth Peters. 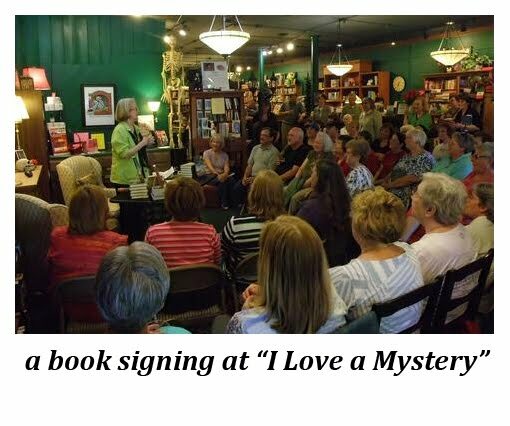 Although I’m only in Kansas City about once a year, I’m on the email list for “I Love a Mystery.” That’s how I got the devastating news. So, I’ve put on my black arm band and had my moment of silence. And so I finish my eulogy with these words: 40 % off all new titles, 50% off all used titles, vintage and signed editions brought out daily. Everything must go.